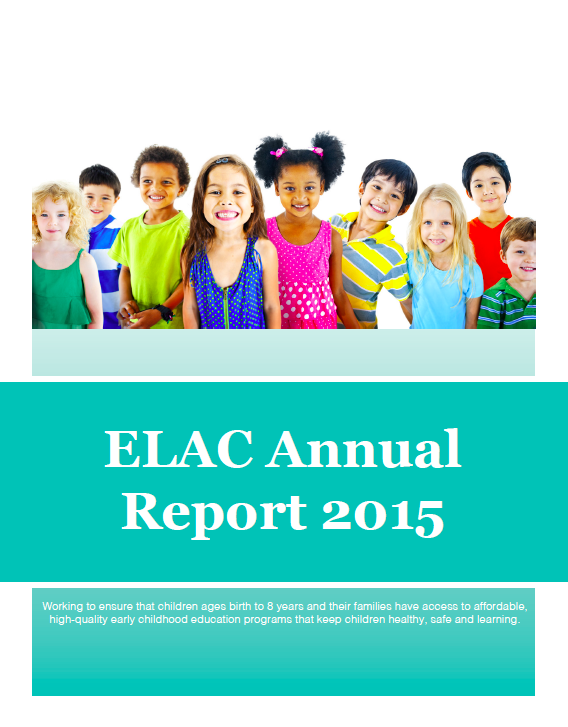 Indiana’s Early Learning Advisory Committee (ELAC) recently released its new 2018 Annual Report that was discussed in this blog post. This year, a new feature was developed along with the Annual Report – an Interactive Annual Report dashboard using Tableau. This dashboard allows the audience to take a deeper dive into the early childhood education data included in the Annual Report. While the visualization of a data dashboard can be exciting, it can also be overwhelming. The interactive dashboards were inspired by the Indiana Commission of Higher Education’s use of dashboards. ELAC saw the opportunity to share the data that has been collected in a user-friendly format for community stakeholders. When you are browsing the new interactive dashboard, make sure to check out these eight key features! There are five main sections of the dashboard: (1) Young Children and Families (2) Accessibility (3) High-Quality (4) Affordability and (5) Kindergarten Readiness. Simply, select the rectangle tab for the section you want to see. Data is compiled from multiple sources: The data that ELAC reports comes from multiple sources. A dashboard is a good format to pull together multiple data points and present it in a user-friendly format. Each chart is included to answer a key research question: Check out the gray boxes to identify the questions that the data is answering. This can guide the information that you are seeking to find. Different charts are utilized to visualize the data: Each tab includes a variety of charts to answer the key research questions. For example, maps are included in each section to display how the data varies across the state. Data can be filtered by different categories: Charts have the option of being filtered by location, age or program type. There are filtering options throughout the dashboard, at the top of pages or along individual charts. Definitions and data sources are included: The Accessibility, High-Quality and Affordability tabs feature a “Hover for Help” option at the top of the page that features definitions related to content on the page. Throughout any page of the dashboard, hover over charts for more data and definitions. Data includes a ranking of counties: Each tab features a county ranking chart to help counties easily identify how they compare to the rest of Indiana’s 92 counties. Data can be shared or downloaded: The Tableau Toolbar is located on the bottom right of the dashboard. You can click on it Undo/ Redo/ Reset filters applied. You can share the dashboard with the url link and also via social channels, and you can also download it as a PDF. 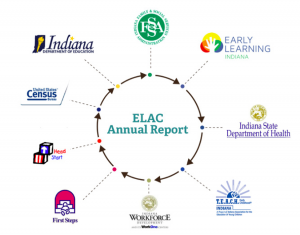 If you have questions or comments about the ELAC Interactive Annual Report dashboard, email elacindiana@gmail.com or contact Transform Consulting Group. Like what you see? 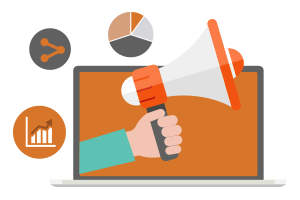 Transform Consulting Group can help your organization develop a data dashboard customized to your needs. Contact us today for a consultation! 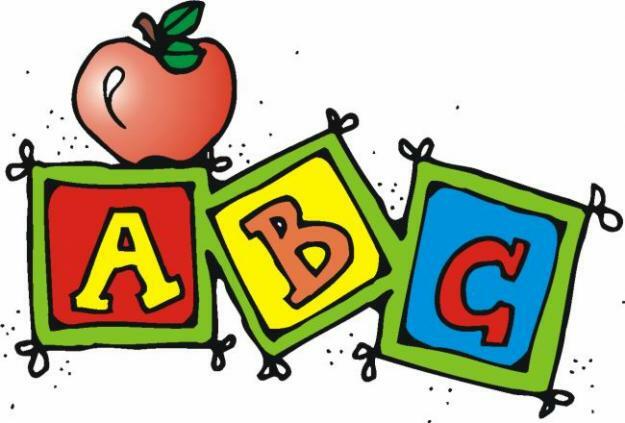 Indiana’s Early Learning Advisory Committee (ELAC) has submitted its 2015 report of findings to Governor Mike Pence and the state’s Legislative Council. As previously discussed (in this blog post), ELAC was created in the 2013 legislative session with a mandate to provide a comprehensive progress report by June 30th of each year. ELAC’s vision focuses on ensuring that children ages birth to 8 years and their families have access to affordable, high-quality early childhood education programs that keep children healthy, safe and learning. The 2020 projected demand for early childhood education teachers outpaces the current supply. The report also includes the following important information: 2014 Accomplishments, Recommendations, and an Appendix. In the Appendix, there are several tables with detailed demographic information at the county level. Transform Consulting Group was honored to partner with ELAC in helping them gather the information and write the annual report. 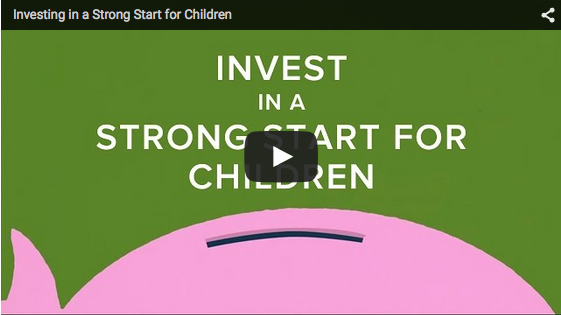 The Center for High Impact Philanthropy at the University of Pennsylvania has released web-based version of Invest in a Strong Start: An Early Childhood Toolkit for Donors. For individuals and organizations interested in supporting early childhood education, the toolkit provides key facts, strategies for investment, high impact opportunities and key partners you should know. As an extension of an ongoing partnership with the Annie E. Casey Foundation, the toolkit was created by a team that reviewed over 50 pieces of major research reports and policy analyses, collaborated with national networks, and interviewed experts and leaders in the early childhood field. Funder Briefs: Background information and resources of early childhood topics such as strong starts for young children and harmful chemical exposure. Strategies for Investing: Information for donors regarding stakeholders and important background information. Return on Investment Profile: Information on what programs to support, the benefits and how to invest. Transform Consulting Group works to stay current with the latest research to inform its clients and align services to “what works”. For more information on the latest research in your industry, contact us today. Family engagement is recognized as a foundation for children’s success across the human services and education fields. The Children’s Bureau of the U.S. Department of Health and Human Services created the Family Engagement Inventory (FEI) to assist professionals in child welfare, juvenile justice, behavioral health, early education, and education to access current family engagement strategies and resources across these fields of practice. The definition of Family Engagement changes between each field of practice. Behavioral Health: Focuses on getting families and providers to effectively communicate information, needs, values, and attitudes that are necessary to develop a beneficial alliance for the child. Child Welfare: Engagement is family-centered and strength-based; Involves helping families set and achieve goals and make important decisions. Early Childhood Education: Engagement involves ongoing, goal-directed relationships that are based heavily in communication and honesty. Education: Engagement includes interactions with schools and meaningful communication between parents and the academic institution. Juvenile Justice: Involves equipping families to have influence and impact on the programs, systems, policies, and practices affecting these services for children and their families. Family engagement resources to useful information and websites that provide additional literature about processes, methods, and programs. Transform Consulting Group works to stay current with the latest news, research and information that supports the goals of our clients. 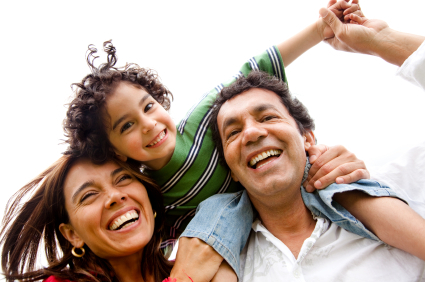 If your organization would like to improve its engagement of families, contact us today for a free consultation! Early Learning Indiana is working to engage parents in their child’s education and development and help parents support their child’s learning at home. Through a newly awarded AmeriCorps grant provided by Serve Indiana, Early Learning Indiana will be able to build the capacity of Indiana pre-k programs to engage parents. A growing body of research suggests that meaningful engagement of families in their children’s early learning supports school readiness and later academic success. As a means to supporting family engagement and children’s learning, it is crucial that programs implement strategies for developing partnerships with families. 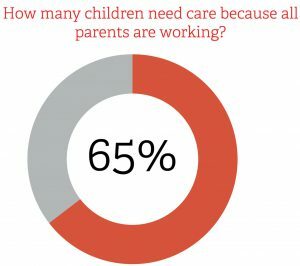 The good news is that parents of all income-levels desire and want to be more engaged in their child’s early education. A 2014 nationally representative poll commissioned by the Kellogg Foundation found that 42% of U.S. parents believe that involvement in their child’s education is most critical between birth and through preschool. The addition of the AmeriCorps grant will provide approximately 15 AmeriCorps members who will work with high-quality pre-k programs in three of the five counties (Allen, Marion and Vanderburgh) participating in the state of Indiana’s On My Way Pre-K pilot program. The AmeriCorps members will train and support providers’ capacity to engage families and develop on-going partnerships with parents and community based organizations. Transform Consulting Group applauds Early Learning Indiana’s leadership in applying the latest research on family engagement while addressing a critical gap in Indiana’s pre-k programs. Transform Consulting Group was hired by Early Learning Indiana to help them strategize a partnership with AmeriCorps to support the engagement of families in high quality pre-k programs and assist them in completing the AmeriCorps grant application. Need help updating a program design or applying for a grant? Transform Consulting Group stays current with the latest research. We can use this experience to align your program and organization to “what’s working”. Contact us today, no matter whether the project is large or small! The National Institute for Early Education Research (NIEER) has released The State of Preschool 2014 report. The newest edition of this annual report profiles state-funded prekindergarten programs throughout the United States, as well as documenting growth. The annual preschool report helps track and understand progress across states and the nation. State funding for Pre-K programs increased by nearly $120 million in 2013-2014. In 2013-2014, 29% of America’s 4-year-olds were enrolled in a state-funded Pre-K program. After a loss of 4,000 seats in 2012-2013, student enrollment increased by 8,535 in 2013-2014. Pre-K quality standards improved in 2013-2014. 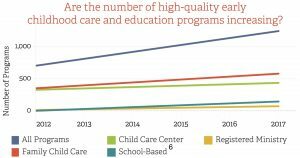 The first section describes trends in Pre-K enrollment, quality standards, and spending. The second section includes detailed state profiles. Profile pages are also included for states without state-funded programs. The last section of the report contains appendices with tables that provide the complete 2013-2014 survey data obtained from every state, as well as Head Start, child care, U.S. Census, and special education data. Other information highlighted in the report includes early learning standards, a resource break-down, and benchmark requirements per state. For the 2013-2014 school year, Indiana did not have a state-funded preschool program, per criteria outlined in the full report. However, Indiana will transition out of one of the ten states without a state funded Pre-K program for next year’s 2014 – 2015 annual report with the Early Education Matching Grant program (EEMG) and On My Way Pre-K (OMY)! Transform Consulting Group has been working with the Office of Early Childhood and Out-of-School Learning (OECOSL) to support the implementation of these new Pre-K programs in Indiana. Contact us today to learn how Transform Consulting Group can help implement your organization’s programs to make a deeper impact in your community. Like us on Facebook or follow us on Twitter! 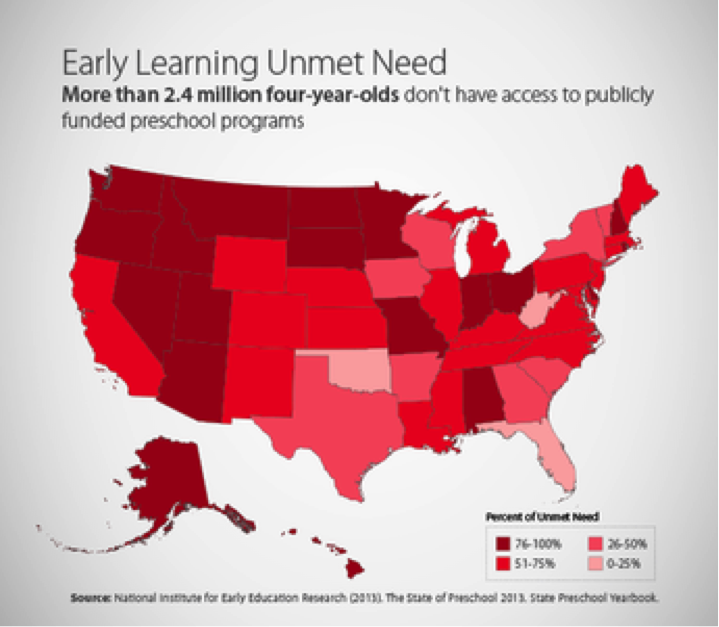 Six out of every ten children are not enrolled in a publicly funded preschool programs. Despite the fact that Latinos are the fastest growing minority group in the United States, having nearly a quarter of 3-4-year olds, they have the lowest preschool participation rate of 40%. In comparison, 50% of African American children are participating in preschool programs, and 53% of white children. Socioeconomically, children from low-income families are participating in preschool programs at a rate of 41%, compared to 61% to their well-off counterparts. African American children and children from low-income families are the most likely to attend low-quality preschool programs and the least likely to attend high-quality preschool programs. Other information highlighted in the report includes tables and charts that summarize data by State. The report also highlights state and federal efforts underway, including the reauthorization of ESEA and new grant opportunities, to address the equity gaps and unmet needs for families. Transform Consulting Group works to stay current with the latest research and information that informs the work with our clients. Contact us today for a free consultation on gathering the latest research in your industry to build your organization’s capacity. From cross-country photo exhibits, to Nike Go Smart on the U.S. Capitol lawn, to the Annual Parent Conference in New Orleans, the National Head Start Association (NHSA) had a busy year in 2014. To kick off 2015, NHSA members took part in the Winter Leadership Institute conference in late January to discuss important policies and issues facing the Early Learning community. Head Start and Early Head Start programs focus on early childhood development and education, and are administered by the Office of Head Start (OHS), within the Administration for Children and Families (ACF). Head Start supports school readiness for young children from low-income families through local early childhood education agencies. Programs provide support for the mental, social, and emotional development of children as well as health, nutrition, and social services for children and their families. Transform Consulting Group is dedicated to keeping clients current with the latest research, trends, news and events such as the NHSA’s Annual Head Start Conference and Expo. Contact us today to learn more about what we do, and follow us on Facebook, Twitter, or LinkedIn.